You can now purchase the book! 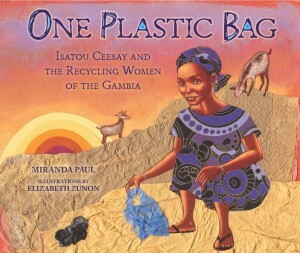 One Plastic Bag: Isatou Ceesay and the Recycling Women of the Gambia is an inspirational picture book that shows how creativity and determination can make a difference in our world. It is illustrated by award-winning illustrator Elizabeth Zunon (illustrator of The Boy Who Harnessed the Wind). The book has been named a Junior Library Guild selection and added to several state lists. It was also a nominee, finalist, or award winner for the Children’s Africana Book Awards, California Reading Association Eureka Nonfiction Book Awards, Connecticut Nutmeg Award, Nebraska Golden Sower Award, Illinois Monarch Award, and Green Earth Book Awards. Additionally, it was a recent CLPE Power of Reading selection in the United Kingdom, a country-wide and is distributed on The Book Bus in multiple African nations. Any chain or independent bookstore near you—simply request the book if they don’t have it on order already. Want a signed copy of the book? Autographed copies are available from The Reader’s Loft. Simply call 920-406-0200 or email info@readersloft.com to order a signed book. They’ll ship it right to you or a gift recipient of your choice. 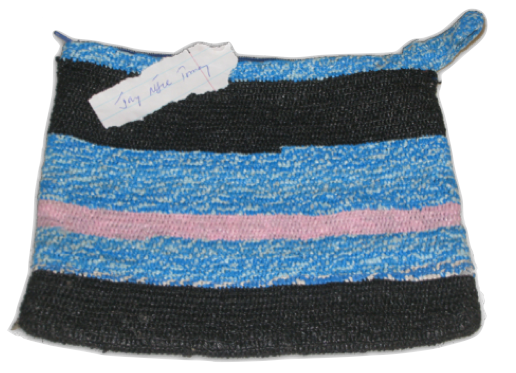 Want to purchase the recycled plastic bag purses? 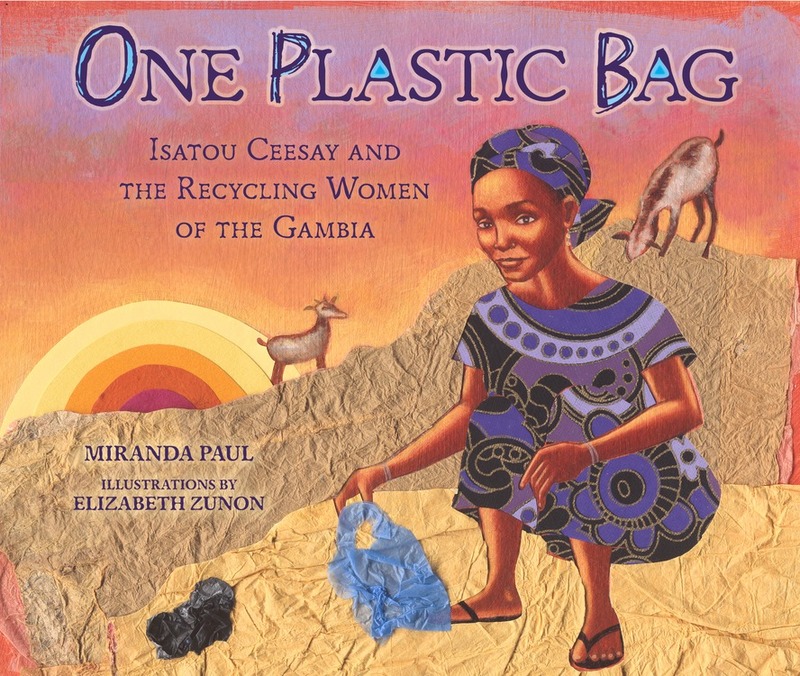 Purses can be purchased through GambiaHELP, or Fair Isle Books & Gifts, or in-person at most of the public events on the One Plastic Bag book tour or Miranda Paul and Elizabeth Zunon’s events. Click here for a list of cities and dates. If you are interested in carrying the purses in your fair trade store, please click here to learn how to connect with Isatou and/or another wholesaler who stocks the purses.